It's no secret that investing in stocks has been one of the best ways to accumulate wealth. Stocks, as an asset class, tend to trounce every other investment. Nevertheless, many investors don't seem to understand how investing in stocks works intrinsically. This causes them to become their own worst enemy as they misguidedly treat shares more akin to lottery tickets than proportional ownership in a real operating company with sales and earnings they can enjoy, some of which arrives in the form of a cash dividend. Let's take this opportunity to clear up three things you need to know before you acquire your first shares of stock. Over time, a company is only worth the profit it generates for the owners. Stock market bubbles can’t last forever and even the worst economic depression comes to an end. 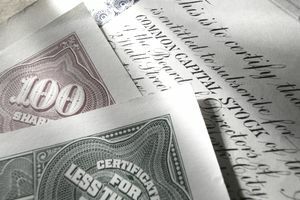 Academics such as Dr. Jeremy Siegel have proven that most of the inflation-adjusted returns from owning stocks come from profits paid out to owners as cash dividends. One way to protect yourself is to make sure you don’t pay too much for a stock relative to the earnings by looking at the earnings yield. Nevertheless, the stock market is a giant auction at its core. This means that from time to time, investor sentiment and structural challenges may result in equity prices deviating substantially from the real, underlying intrinsic value of a firm. For example, let's consider an investment in shares of PepsiCo, one of the world's largest beverage and snack conglomerates. Imagine that on the day I was born in the early 1980s, you invested $100,000 into shares of PepsiCo. Excluding reinvested dividends, today, you'd be sitting of well over $6 million in wealth consisting of ownership in two different companies thanks to a tax-free spin-off. What few people realize is the journey it took to get there. Specifically, they fail to consider time experiences such as Black Monday. In case you aren't familiar with it, it's time for a refresher. When you went to bed on Friday, October 16th, 1987, you would have been sitting on $229,425 in PepsiCo stock at its then-current quoted market value. Specifically, you would have held 6,900 shares at $33.25 each when the market opened on October 19th, with little to no warning you would have watched your ownership stake collapse to $148,350. Before you had time to understand what was happening fully, more than 35% of your equity value had gone up in smoke. That's $81,075 of PepsiCo wealth obliterated from your balance sheet. But for the long-term owner, it didn't matter. It was a meaningless distraction because Pepsi was still selling just as many cases of Pepsi and Diet Pepsi. Customers weren't suddenly giving up their favorite carbonated beverage. The cash registers at corporate headquarters will still ring as the number two soda company in the world brought in earnings from the four corners of the map. The p/e ratio and owner earnings were still attractive. The dividend was still growing. This was nothing like the later overvaluation experienced at the turn of the millennium when price drops were justified by the prior excessive optimism built into equities. If you had panicked and sold your PepsiCo ownership at this time, you never would have turned your $100,000 into millions. In fact, were you to reinvest your dividends, that drop would have made you even richer. Another mistake new investors make is using borrowed funds to pay for stocks. This is almost always a terrible idea that can lead to catastrophe. We've talked about the dangers of margin debt in the past, reasons you shouldn't use margin debt even if the interest rate is low, how margin calls work, and even the reasons you should put your stock investments in a so-called cash account and not a margin account. When you borrow money to invest in stocks, you are inviting another person or institution which may not have your best interest at heart into the decision-making process. But this goes beyond trading on margin. Quite simply, you cannot get ahead, even investing in stocks, if you have credit card debt. The bottom line is you can’t get rich paying 20% interest on your debt, while collecting only 3% dividends from your stocks. It isn't normal to be in credit card debt. One popular financial expert has been known to remind people that the very first month a bill arrives that you can't pay in full, you have a problem. Stop all of the nonsense about "good debt" and "bad debt" and realize that risk reduction is sometimes more important than your compound annual growth rate. Sometimes new investors get excited over stock splits. This is when a company decides to divide each share in half so that shareholders have twice the number of shares but with each share half its previous value. Other than making shares more affordable for poorer investors, a stock split is a meaningless accounting transaction, equivalent to getting two $10 bills instead of a single $20. As a result of past stock split and capital structure decisions, it is possible for a stock trading at $10,000 to be less expensive than a stock trading at $15 per share.